The Datamax Ex2 has been renamed to the Datamax-O'Neil Ex2. Ex2 Direct thermal Printer (203 dpi, 4 inch Print, 3 ips Print speed, Auto Media Loading and Center Bias) The Datamax Ex2 is setting a new standard in the entry-level thermal printer market. Datamax has combined affordable printing, high quality performance, and the latest technology for all your printing demands. With one button, one LED, and auto media loading the printer has been simplified for ease of use. The Ex2 offers powerful performance with a 32-bit multi-tasking processor with two megabytes of memory, serial, parallel, and USB communications interfaces standard. The Ex2's center bias design eliminates any mechanical printer width adjustment for narrow media applications. The Ex2 has been engineered to achieve a true footprint by incorporating the communications interface and power connection under the printer. This allows for ease of use in locations with limited space. The Ex2 printer packs the latest technology with affordable pricing in a small package. The Ex2 is perfect for all of your low to medium volume printing applications, from shipping and receiving, to retail, and health care. The Ex2 can accommodate up to a five-inch roll of media, which reduces frequency of label loading. Depending upon your requirements the Ex2 is available with such options as four megabyte memory and peel and present. With so much value and performance packaged in such a small printer, there is only one choice, Ex2. 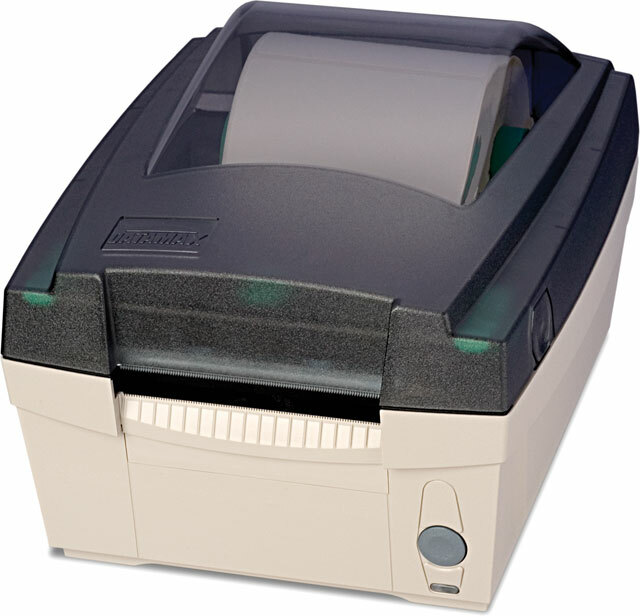 The Ex2 is simply the most economical thermal printer on the market today.